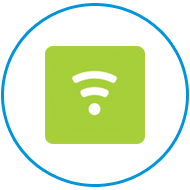 Zusi provide a wide range of communications systems and services including mobile, landline, broadband and Voip systems. Through ongoing partnerships Zusi can offer you impartial advice and solutions that will benefit your business. 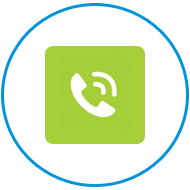 We can offer everything from a single fixed line in to your business all the way through to a hosted VOIP system in multiple sites spread across the company. Machine-to-Machine connects machines, devices and appliances wireless to the internet, turning them into intelligent assets that open up a range of possibilities for how businesses are run, how they grow and keep customers happy. Mobile phones have become an integral part of personal and working life over the past 2 decades. 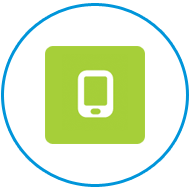 With our experience within the industry and partnerships with the 3 major networks we are well placed to solve all your mobile requirements. Your basic office phone has gone through a number of changes over the past few years. No longer do you need to incur the hardware costs associated with fixed line systems. We have built relationships with a number of providers to help you maximise the cost savings available with new technology. Due to the need to be “connected” for a large proportion of our working day we at Zusi have concentrated on delivering a fast and reliable broadband service to our customers. Wether this is used for email only all the way through to a cloud based company we have the right solution for you. If you require a quotation for any of our services then please ask us, we are always happy to help. After being frustrated by the service offered by the large networks I have had my faith restored in telecoms companies by Zusi. They really spent the time to get to know me and my business which other companies never seemed to do. I feel that this time was well spent as the suggestions they offered me have really saved my business time and money. They have been very open, honest and patient with me, explaining the pro’s and con’s of all the products on offer at the moment. Their expertise has given me great confidence in them as a company. If you want to work closely with a knowledgeable and trustworthy company I would highly recommend Zusi Limited.